With software he wrote himself, composer and sound artist Shawn Greenlee created an amazing audiovisual monster. And sometimes it needs taming. "I don't really know when I'm starting exactly how the performance is going to evolve, because the systems I create can do unexpected things," Greenlee said. "It keeps me on my toes and I have to keep adjusting things. If I just leave it, it will go crazy and generate wild noise, and I want to pull it back in." Greenlee's curious sounds of computer science will drip, blip and flutter on Friday, April 14, at the Anchorage Museum's new "Live in the Planetarium" program. Through spring and summer, the planetarium will play host to Greenlee and more stars of the experimental music world. 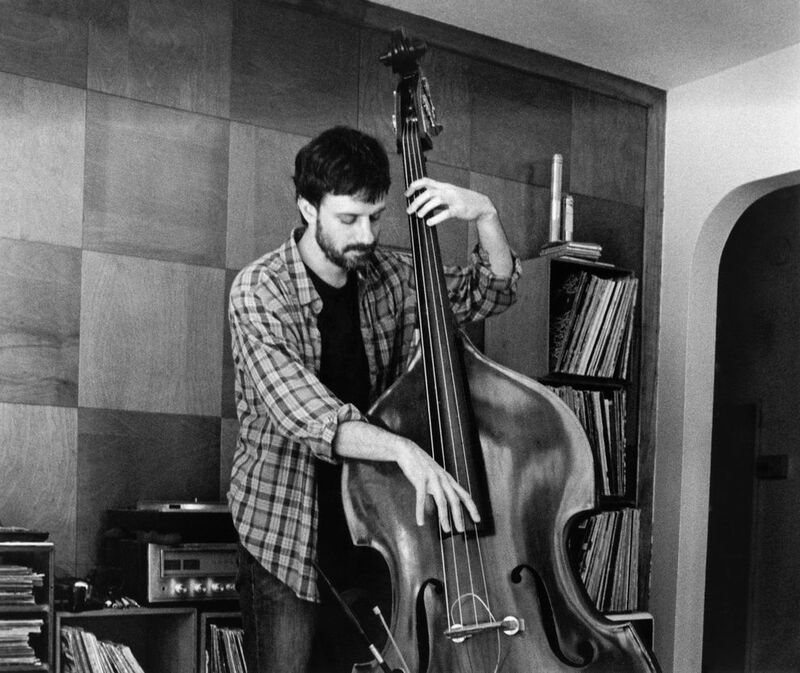 Dirty Projectors bassist and occasional Vampire Weekend collaborator Nat Baldwin will play his double bass and read from his new book of short fiction in August. 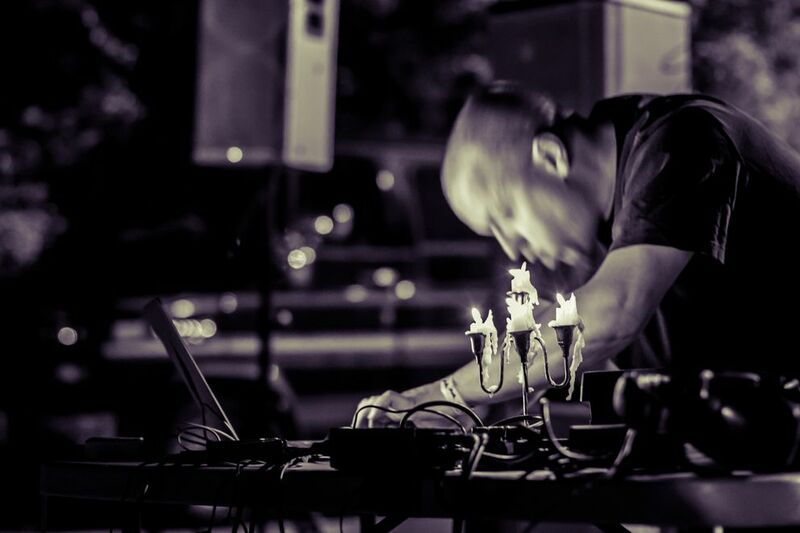 Sound artist Blevin Blectum is coming in May. And neo-folk musician Death Vessel is scheduled for June. 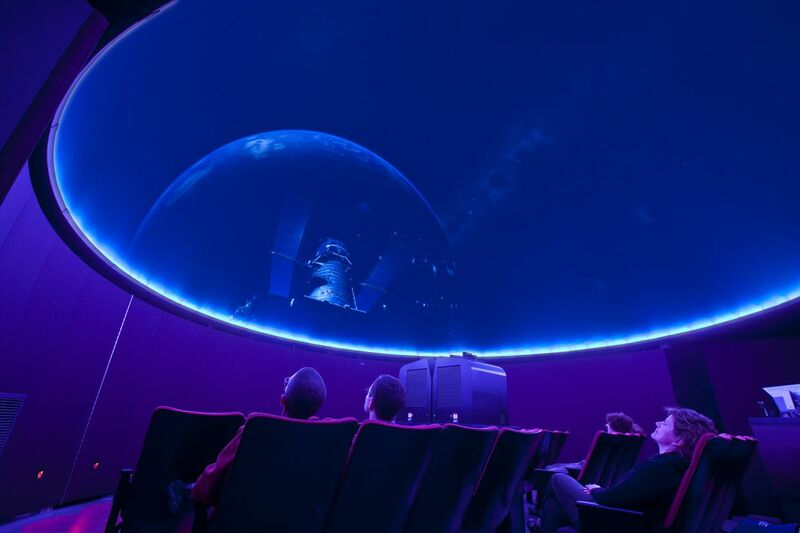 "What's unique about the planetarium is the immersive, intimate environment and that's what's exciting about seeing a performance there," said Hollis Mickey, the Anchorage Museum's director of learning and engagement. "All of these performers really think about the idea of immersing an audience in different ways." Greenlee envelops his audiences by simultaneously sending different sounds to each speaker. "There's a bit of a sense of wonder about where the sounds are coming from and how they're being transformed," he said. "It's almost like an orchestra. Rather than independent players, each loudspeaker becomes like a member of the orchestra." In this case, a bizarro orchestra with repetitive, resonating noises that alternately fade out and build in intensity, with the occasional partial melody or beat. Even though Greenlee is seated behind a computer during performances, he's fully physically engaged. Constantly tuning, adjusting and moving with the music, he's like a mad scientist conductor channeling some otherworldly sonic source. The visual element is further enhanced by abstract patterns flashing on a screen as Greenlee plays. "It's like a graphic musical score," Greenlee said. "Instead of standard musical notation, I'm using another kind of imagery to guide a performance. 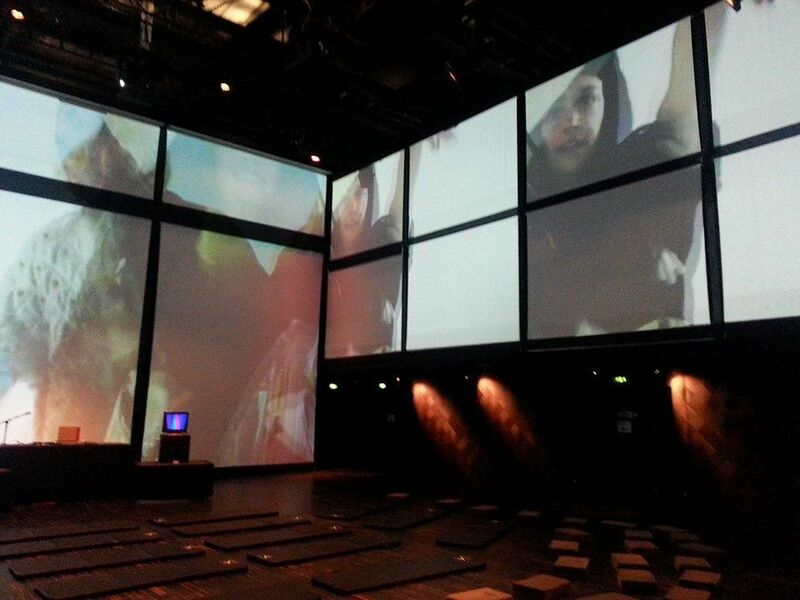 The computer scans through images and uses them to influence and generate the sound." He will also coax tones from objects including a small Korean gong, bowls and more resonant metal objects. His software senses and analyzes the sounds the objects create and generates new sounds based on them. "I hope people are interested in new possibilities with the computer and hearing sounds they haven't heard before," Greenlee said. "That's one of the central ideas of the performance: for sounds to emerge that are unexpected." Bevin Kelley, known in the performance world as Blevin Blectum, will follow Greenlee in May. She attended the same electronic music program he did at Brown University and has watched him perform. She said she admires the way he masterfully controls audio, video and the occasional spinning plate. Her work "is a little sillier, a little playful and definitely more narrative," she said. "I'm more of a sound designer than a programmer and instrument builder." Kelley will be performing a "music-based daydream" called "Cynopterus," which she has previously done in Paris. It will be released on an album in September on the Paris label Darling Dada. The ever-shifting cinematic presentation blends electronic music, distorted human and robot voices, and snippets of sci-fi that surface just long enough to sink into the subconscious before melting away. Among the sources are old episodes of "Dr. Who," the late 1970s and early 1980s BBC series "Sapphire & Steel," and John Carpenter's 1974 sci-fi-comedy cult film "Dark Star." Kelley said these shows and films incorporated early forms of electronic music that never left her mind. "I have really distinct memories of those sounds," she said. Kelley said she didn't know at the time that female composers like Daphne Oram and Delia Derbyshire were some of the musical pioneers behind the music. Now they are among Kelley's heroes and role models. "There's something cool about the fact that I was inspired by their work as a kid and now I'm doing something similar," she said. "There still aren't that many women doing" electronic music. The most stripped-down performance of the series will be Nat Baldwin's. There won't be any crazy, complex videos and visuals; just a man, his double bass and his new book. The Portland, Maine-based singer, composer, musician and author will alternate playing tracks from his 2014 album "In The Hollows" with readings from his recently released debut collection of short fiction "The Red Barn." "The book is about perception, dissociation, time, memory, dirt, meat, hammers, and teeth," he said. Baldwin said his solo music straddles the line between experimental and familiar and that both his music and fiction writing are stark and melancholy. He creates sounds and verbal images that Alaskans can appreciate. His albums have names like "Enter The Winter" and "Lights Out." "The material is coming from a similar place. I lived briefly up near Acadia National Park up in northern Maine. It's sort of mountainous but it's right on the water. There are huge open landscapes and it's really beautiful." Baldwin said his double life as a part of popular rock bands and as a solo performer keeps him on an even creative keel. "Dirty Projectors allows me to fulfill the traditional role of the bass player in the rhythm section. It's fun to be a small part of something sonically much bigger, creating music I love with friends," he said. "My solo music is the opposite experience, as I am in control of everything. Each project balances the other out." "LIVE IN THE PLANETARIUM" featuring Shawn Greenlee will be presented at 7 p.m. on Friday, April 14 at the Anchorage Museum, 625 C. St., Anchorage. Tickets are $15 and available at anchoragemuseum.org.